How’s your brand doing on social media? Are you happy with the engagement that you’re getting? If you answered “so-so” or “not quite,” it may be time to rethink your social media strategy. Much like the major reinventions that have taken place in retail and ecommerce, the social media landscape has changed dramatically over the last couple of years. The same Facebook or Instagram tactics that worked two years ago won’t be as effective in 2018. If you want to continue driving traffic, engagement, and sales through social, you need to pay attention to the latest trends and consumer behaviors, and then build your strategy around them. Read on for tips and insights on how to do just that. Last month, Facebook founder Mark Zuckerberg announced that they would be making changes to how the News Feed recommends posts. “I'm changing the goal I give our product teams from focusing on helping you find relevant content to helping you have more meaningful social interactions,” he wrote. According to him, in the next few months, people can expect to find more content from family, friends, and groups in their News Feeds; at the same time, users will see fewer posts from businesses, brands, and media. There’s no use complaining about how people are no longer seeing your Facebook posts. The best thing to do is proactively shift your strategy and explore ways to increase your content’s discoverability. Promote a sense of community - A great way to keep customers engaged (not just on Facebook, but overall), is to create a community around your brand. Build relationships with your customers and bring people together through shared interests. For example, if you’re an athleisure company, then why not promote yoga or fitness communities? Do you run an apparel boutique? Creating a fashion-centric group could be a great way to go. You can then take your community online through Facebook Groups. Ask a team member or a loyal customer to set up a group around your brand or shared interests. In addition to helping you bring your customers together, having an active Facebook Group can help you reach shoppers organically. 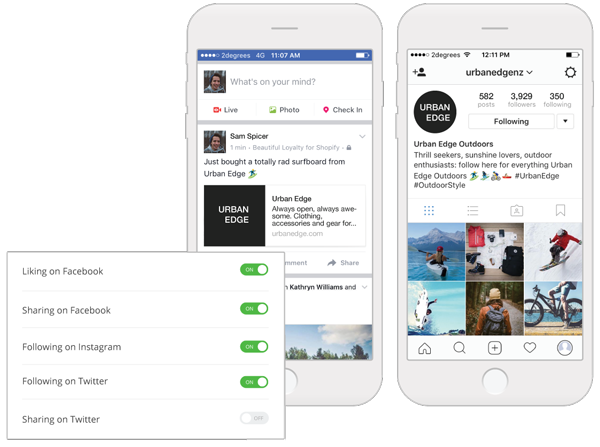 Remember, Facebook will continue to prioritize Group posts, so having that community can keep you on the radar of your customers. One retailer who found success in Facebook Groups is Flaunt Boutique, a women’s clothing store in Texas. Laura and Autumn notified their customers about the group via email, and mentioned that it's a community where they could purchase old inventory, snag promo codes, give feedback, and more. See if you can do something similar in your business. If you have an active customer base, why not bring them together through a Facebook Group? Increase your ad spend - These days, if you want your business to get exposure on Facebook, you need to pay for it. This trend won’t be going away anytime soon, so if you’re not advertising on social media yet, you should seriously consider it. Facebook, along with Instagram and Twitter, have a number of advertising solutions for brands. Our recommendation? Explore these networks’ advertising products, run some ads, and then see what works for your business. Be sure to track your ad spend closely, as well as the results that you got out of each ad. You’ll need to calculate your cost per acquisition and ROI to determine the best platforms to advertise on and how much to spend. Gone are the days when brands can tweet or post from an ivory tower. Consumers today value authenticity and they want to shop from brands that they can relate to and share their views and values. Being authentic starts with identifying your values. What do you stand for? Are there any social causes you align with? Answer these questions honestly, and then find ways to embody and communicate your values effectively. Need an example of a brand or person that’s doing this well? Check out Rebecca Minkoff. The founder of the namesake brand has been quite vocal about women empowerment, and she uses social media to voice out her message. 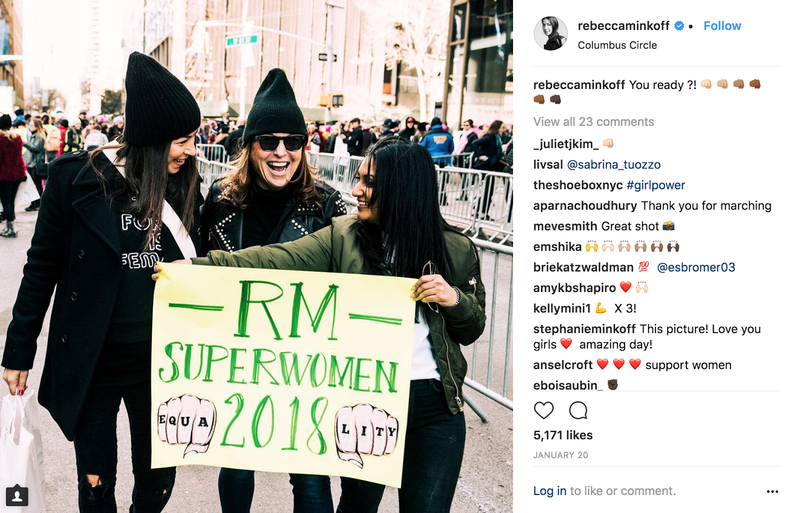 Rebecca Minkoff herself walked the streets of New York last month for the Women’s March, and she posted photos and Stories on Instagram to document the event. Minkoff also does a great job at speaking directly to her fans and followers. Case in point: when her company ran into holiday season mishaps, Minkoff posted an apology on Instagram. 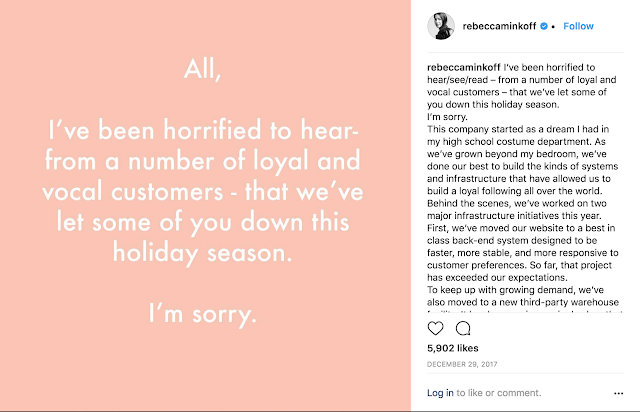 Now, publishing apologies on social isn’t new, but the way that Minkoff apologized really stands out. Her apology was written in such a way that it read like a letter directly from Minkoff herself. It showed that she cares about being seen as a real person. In 2018 (and beyond), it’s that kind of authenticity that will win over consumers. So, strive to find your voice and be real when communicating with them. Messaging apps will increasingly become an important component of a brand’s communication toolkit. You need to start thinking about how you can use Facebook Messenger, WhatsApp, and other chat solutions to engage your customers. Messaging apps can have a role in your marketing and customer service efforts. Brands like ThirdLove, for example, are using chatbots in Messenger to answer questions and help customers find the right product. ThirdLove can even send order and shipping updates through Messenger. Take a leaf out of ThirdLove’s playbook and use online messaging to your advantage. You don’t necessarily have to use chatbots benefit from this trend. 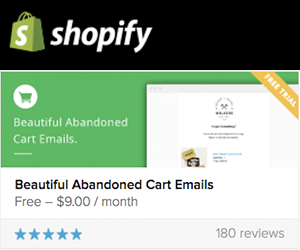 As a small business, you can use messaging apps to personally help and respond to customers. While it’s true that social media buy buttons failed to catch on, we can’t ignore the fact social networks still help consumers discover products and businesses. Make it effortless for people to buy - When people come across your merchandise or brand on social, you need to make it easy for them to move on to the next phase of their shopping journey. If you’re posting something about your products, for instance, make sure people know how they can purchase them. 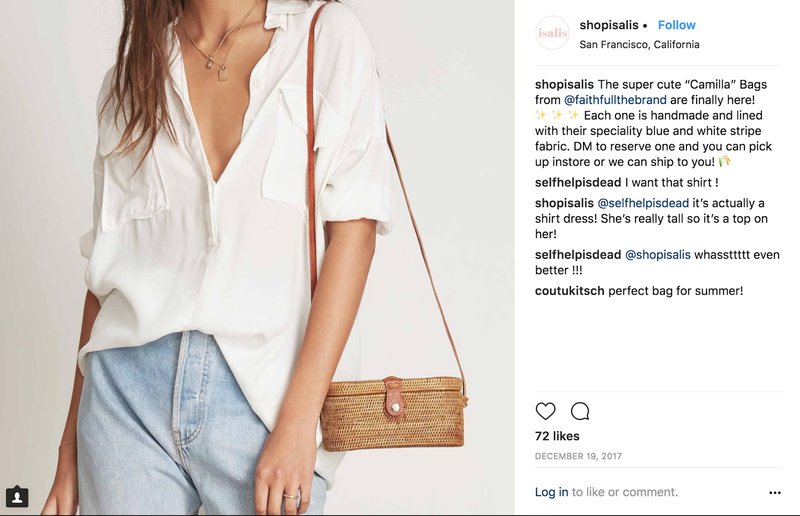 This could mean using a “shoppable post,” putting a buy link in your bio, telling to “swipe up” if you’re using Instagram Stories or simply giving people clear instructions on how to buy. Kate Spade uses shoppable posts on Instagram to make it easy for users to view each item’s product page. Isalis, a women’s clothing store in San Francisco, regularly posts beautiful photos of their products, along with clear and simple instructions on how to purchase them. 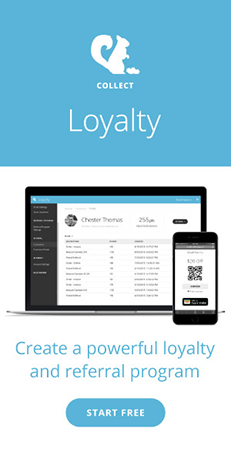 Tie in your loyalty program - Running a loyalty program? 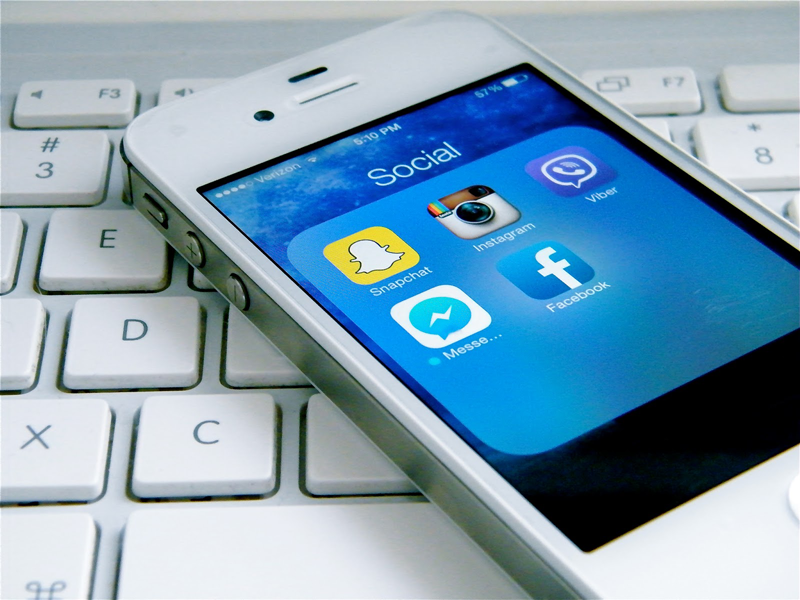 Find ways to leverage social media to boost your loyalty efforts. Consider rewarding shoppers who give you a shout-out on social networks or those who join your community. The right loyalty initiative will depend on your business and social media objectives, so figure out how your customers are engaging with you on social and what your top networks are, then go from there. The social media landscape is continuously changing, and your business must evolve along with it. Gaining friends, fans, and followers isn’t like what it used to be, so you need to ensure that your social media strategy is equipped for today’s consumers and trends. Hopefully, this post brings you closer to doing just that.